Your dental health is more than just a pretty smile. Healthy teeth and gums are essential to a strong heart and your overall health. Believe it or not, gum disease can be a virtually painless form of tooth loss. As your local family dentist serving Abington Jenkintown and Elkins Park, we are vigilant in diagnosing and treating your oral health issues including cavities, TMJ disorder, and root canals. For optimal care with your oral health, we like to see our patients at least twice a year to provide the best care possible. The result is a healthier smile and a healthier life. Dr. Murphy and Dr. Wilk have a passion for dentistry and they love giving people the confident smile they deserve. 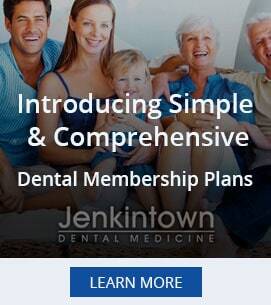 Ask us how we can maximize your dental insurance! Don't wait another moment. Call us at 215.885.6565 to schedule a consultation with your local family dentist serving Abington Jenkintown Elkins Park and surrounding!